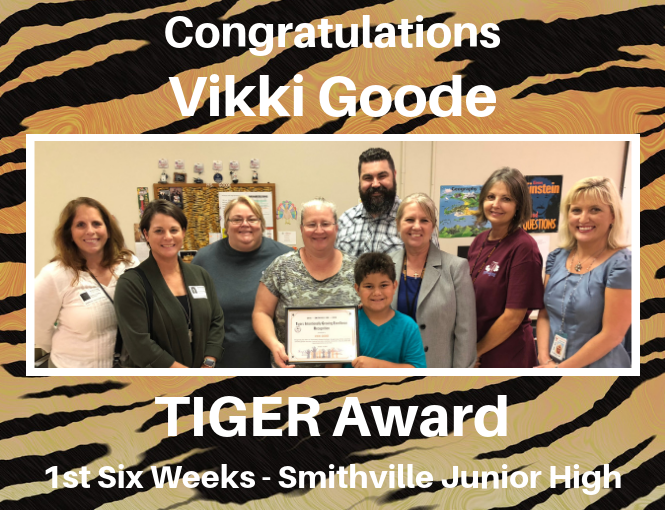 Smithville ISD is excited to continue the Tigers Intentionally Growing Excellence Recognition awards for the 2018-2019 school year. 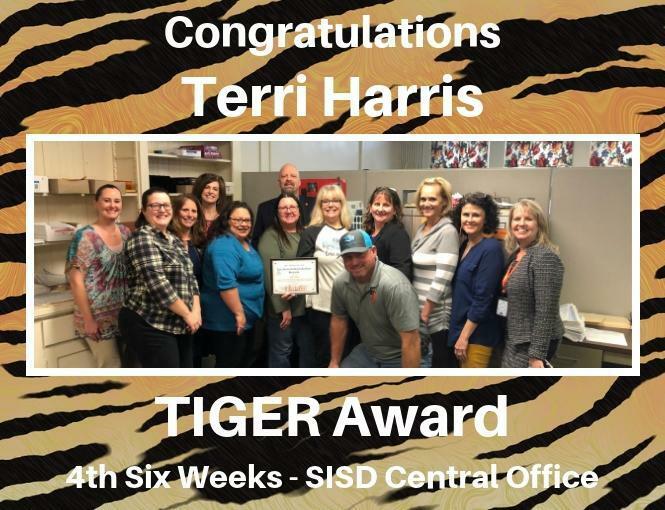 Building on the 2018-2019 district theme of Service to Others, The TIGER award is designed to recognize staff who demonstrate they are ‘serving others’ in their field. 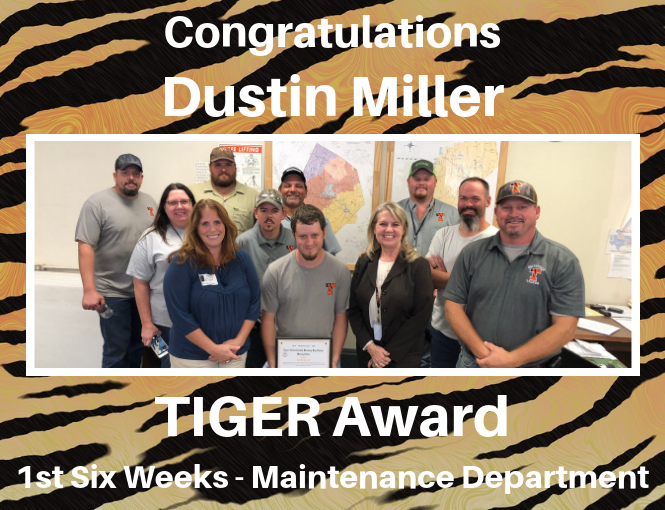 Employees who are recognized are those who go above and beyond the required actions of their assignment with the district. 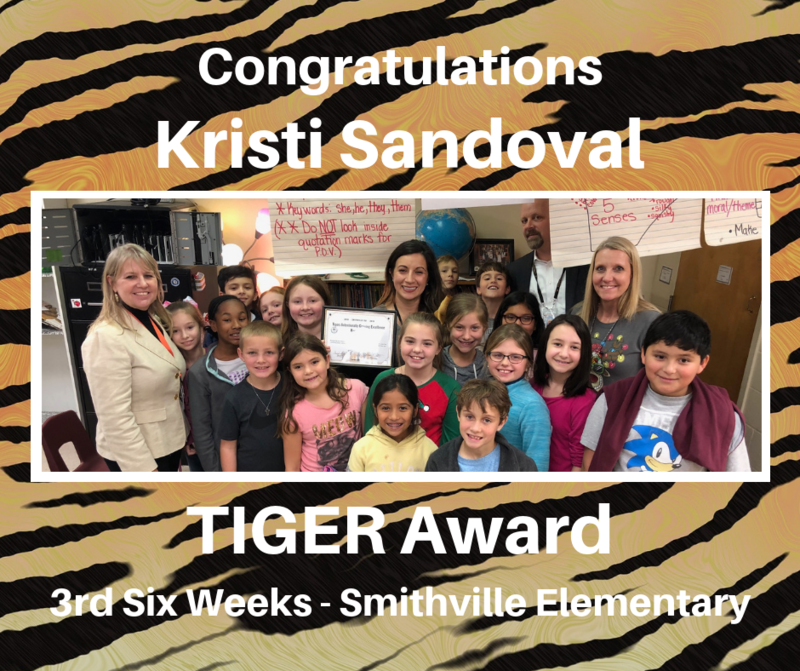 All Smithville ISD employees may submit nominations for consideration of the TIGER award each six weeks. Please note: Nominees will remain active so nominating a particular employee twice throughout the year is not necessary. Stacy is always a positive influence on our campus. Stacy is proactive in supporting students and having clear boundaries and tough love at time for students. She is an outstanding employee and is an absolute joy to have on our campus. She truly cares about the health and well-being of each and every person at SHS. Stacy goes above and beyond what is expected from a school nurse. She has students go to her daily for showers - she has laundered clothes for them and then gives them clean clothes, socks and even helps provide them with jackets and coats. Stacy also sends out emails and reminders on healthy eating and exercise regimens, and works out with many of us too. 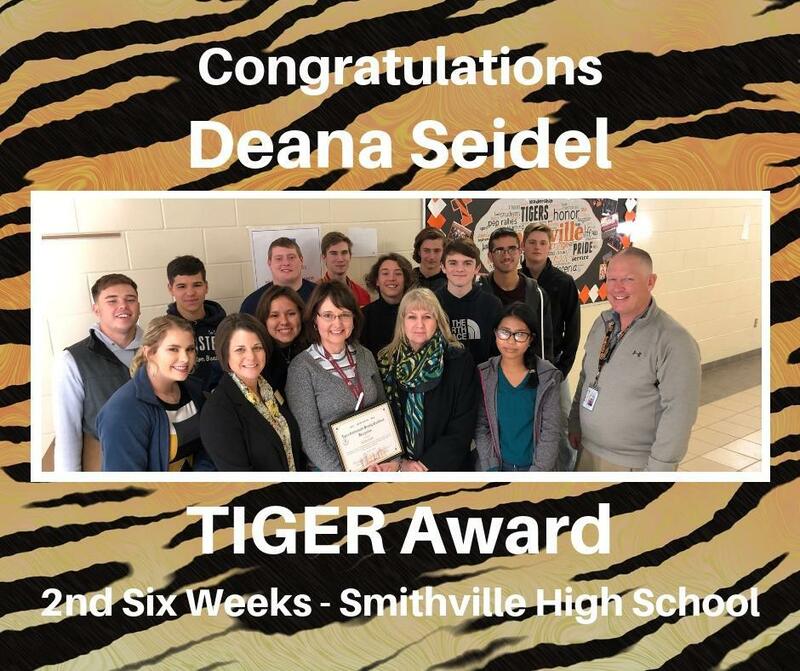 She is making a difference in our school and our town! Mrs. Johnson does her best to engage each student in the class assignment and works hard to get the very best out of each student. During writing assignments she will talk to as many students individually as she can to draw out ideas to help them do better in their writing. She is patient, attentive, and treats each class and student with respect and does her best to gain their trust and respect back. Trayce is a dedicated teacher. 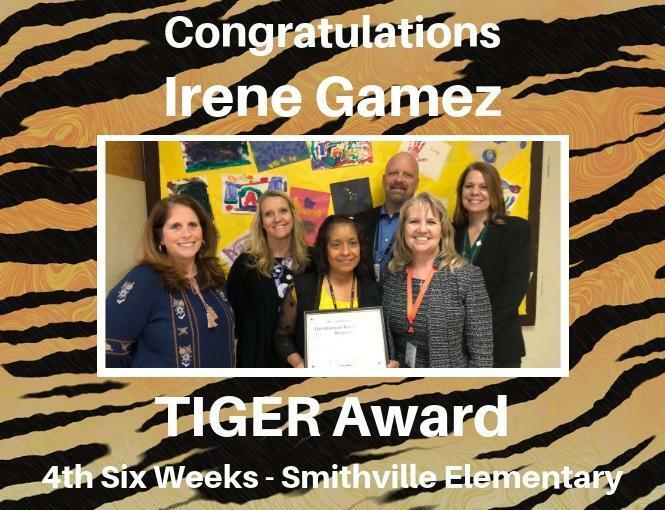 She works with all students to see that they are successful. She is patient, caring and supportive of her students. Irene always goes above and beyond. She helps with our Enrichment Day store (which is NOT an easy task) and she helps the office staff when they need it. Irene is the translator on our campus, for ARD’s and parent conferences, and she also helps our ESL students. She never complains and just does it because she is such a caring person. I am grateful she is here to help our staff and our kids. 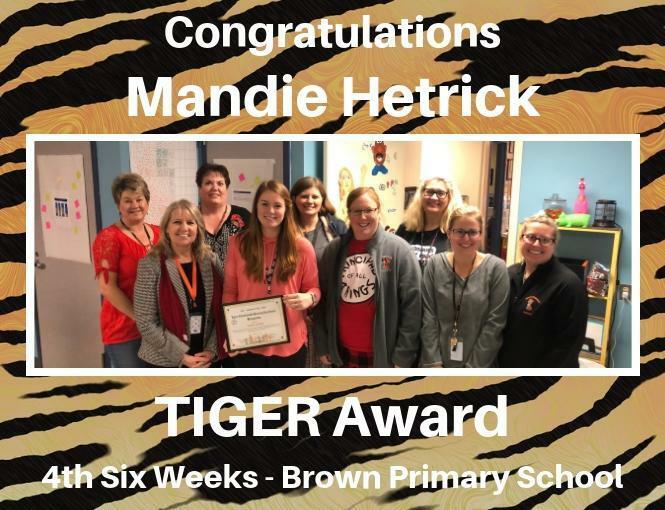 Mandie Hetrick is a teacher who goes above and beyond for her students. 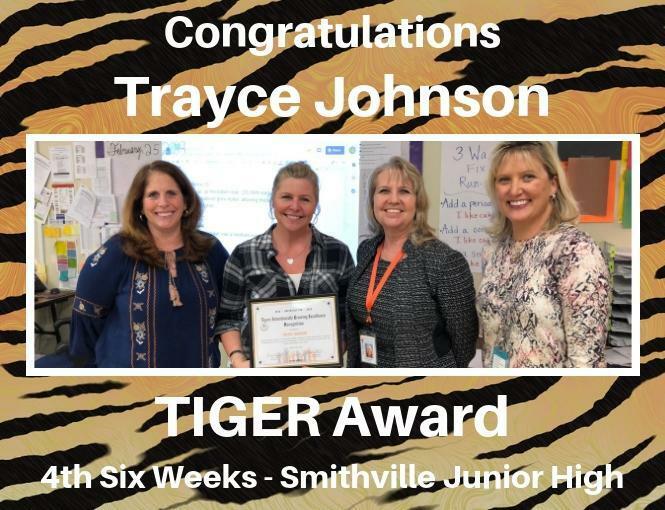 She creates unique opportunities for the students to grow as learners. She is a driven, organized teacher who inspires her students to take risks academically and socially to become lifelong learners. 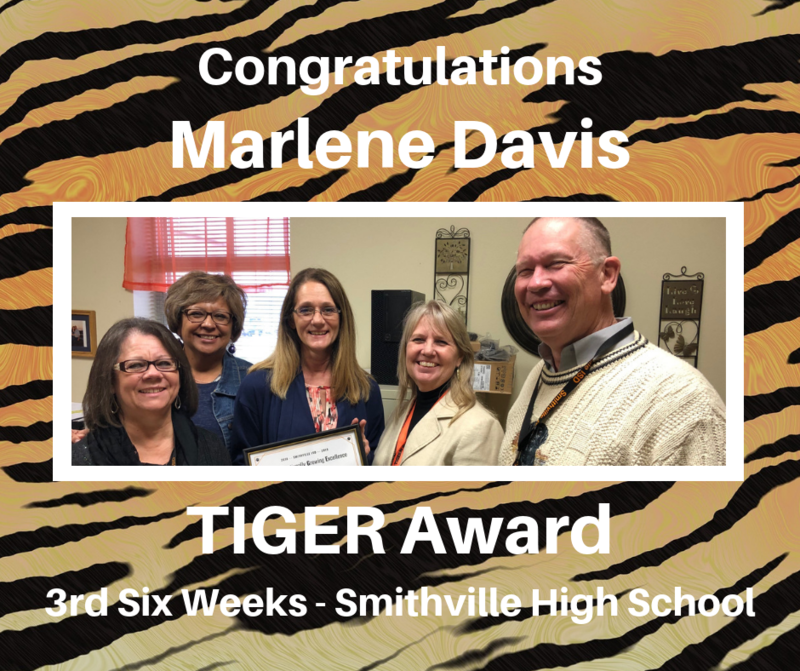 Terri has been a true asset to Smithville ISD. She does a multitude of things for everyone in the district, especially for our Chief Financial Officer. No matter what the situation (whether it is making calls, finding a purchase order, finding documents in storage, double checking payments, making orders for everyone in the district…) she does everything with a smile and without complaint. Marlene is dedicated to making sure our school runs smoothly. Taking care of the budget and making sure all classes are covered when teachers are out. Graduation isn’t just in May. Planning and ordering has already begun. Insuring diplomas are ordered for each graduate with correct spelling, scheduling Herff Jones for seniors as well as Juniors for class rings. She’s a big sister to all of us. 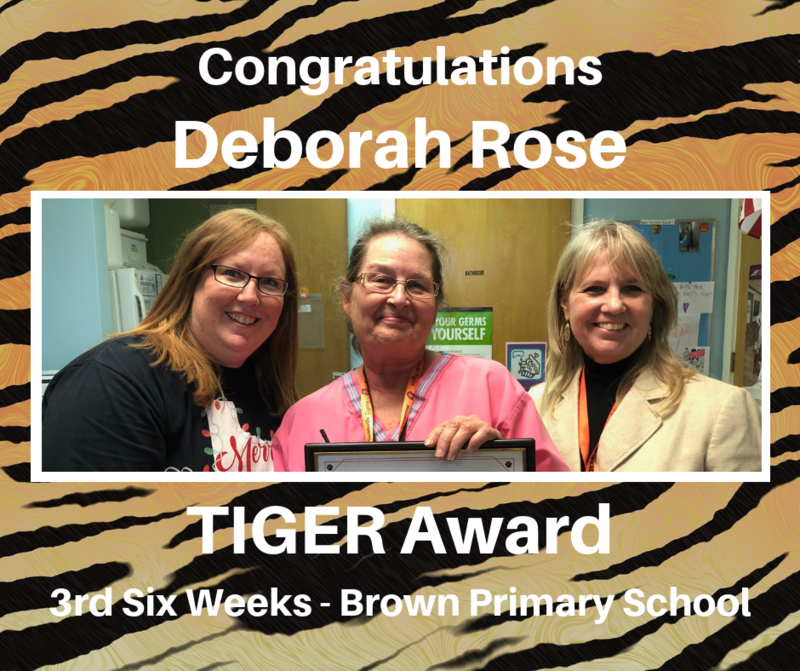 Deborah serves others b taking care of staff members as well as students and parents. She is the school nurse that applied for the grant, “Shoes that Fit”. She coordinated the big event supplying shoes for the SISD students on all four campuses. She also offers immunizations for all students who are eligible to receive flu shots. She is an active member of the District Site Base Committee and the Student Health Advisory Committee. Always cheerful and easy to relate to. What he accomplishes at Brown Primary is amazing, especially on his own. Not many would be able to handle the rigors day in and day out at this campus. He never complains. Rarely needs assistance and so well liked by all, including the students who are always calling him by name when they see him. 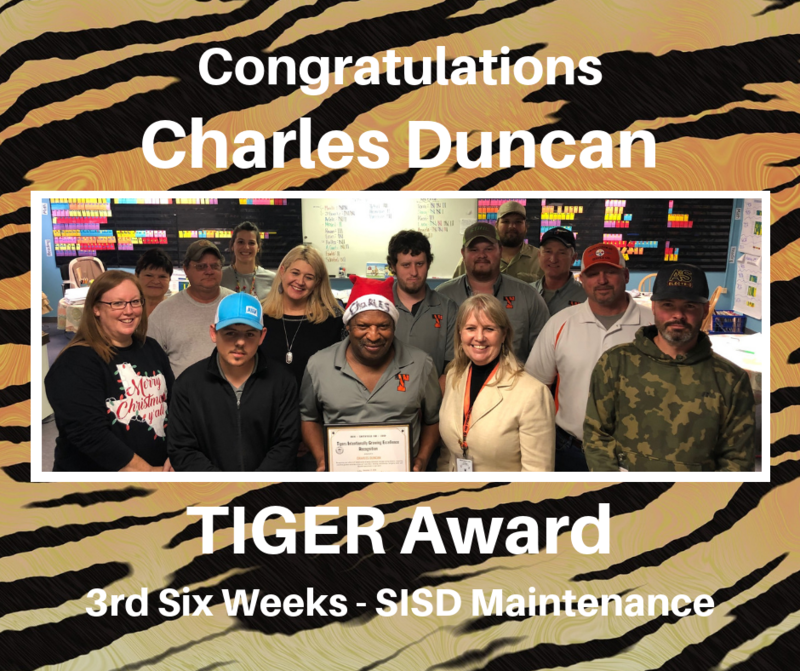 During the summer break Charles works alongside with the other maintenance guys and does whatever is asked. Good comments about him are often received at this time from the crew. We can always count on him to attend to matters at Brown even during emergencies after hours, and at other campuses if need be. Kristi has been an absolute blessing this year. She is very organized, patient, and always willing to help. She took on a huge responsibility helping 3 teachers that have never taught ELA before. She always has a positive attitude and smile on her face. Kristi is a team player, and I am so thankful to be teaching with her! Mr. Kearns works in the Shared Services Arrangement. He has a passion for children that is evident in the way he talks to them and teaches them. He is patient, yet firm with the students. 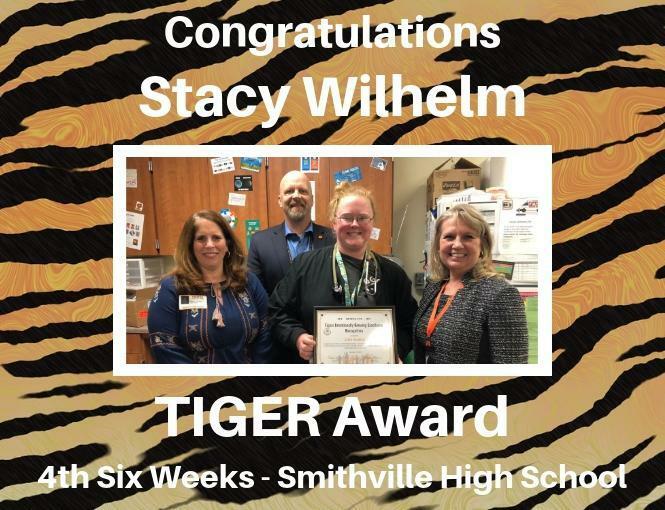 His love for the Destination Imagination program prompted him to start DI at Smithville Junior High. Last year he only took one team to the district level, but this year there are four teams. Chad has shown amazing service to others within his role. Many mornings he sits with one of the elementary students and has worked to build a strong relationship. He also fixed a bike for one of the students, which is well beyond the call of duty. 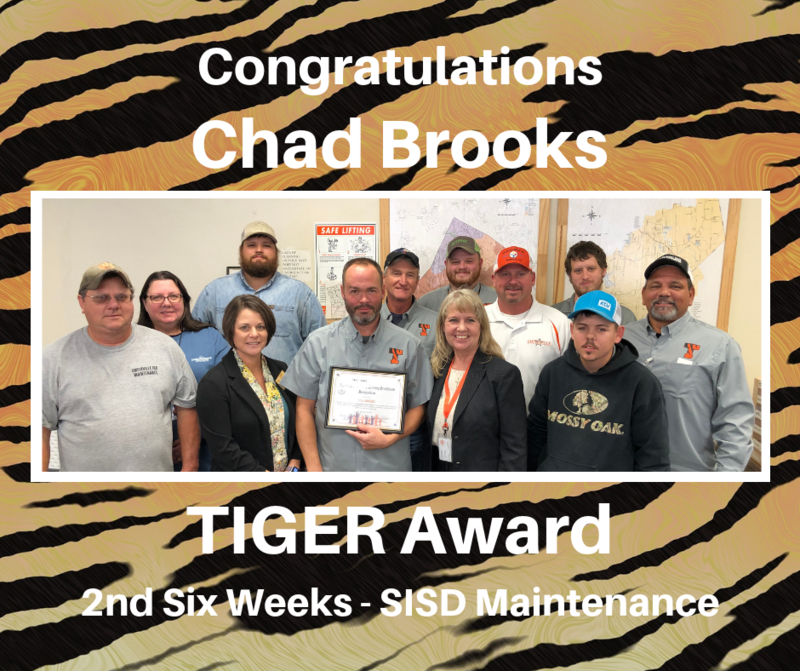 Chad has shown true Tiger Pride and we appreciate his service to our district. Deana is so AWESOME!!! You can find her in her classroom EVERYDAY during her conference tutoring the Calculus students. She even stays after school and works with them longer if they still need help. She is in charge of Robotics and puts her heart into it. Deana has made every effort to welcome a new staff member and help with anything needed. She is also in charge of the entire Math department. She has an attitude that "Whatever it Takes", she will make sure it gets done. It wouldn't be the same without her. Sheri enjoys working with children and it shows. She is a person who arrives early and stays late for children. 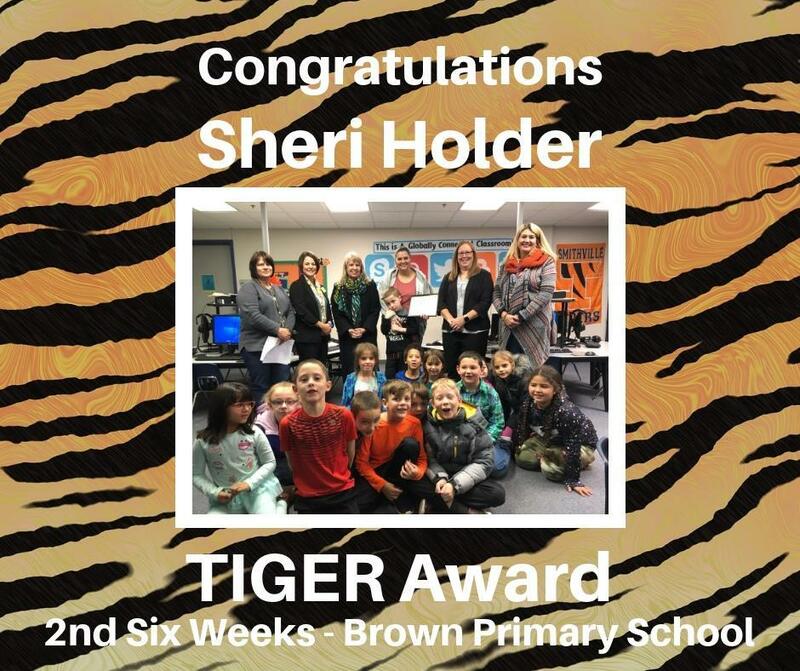 Sheri has taken on greater responsibilities at Brown Primary and through the Booster Club which is demonstration of her dedication. Sheri doesn't have to say she is dedicated; it shows. 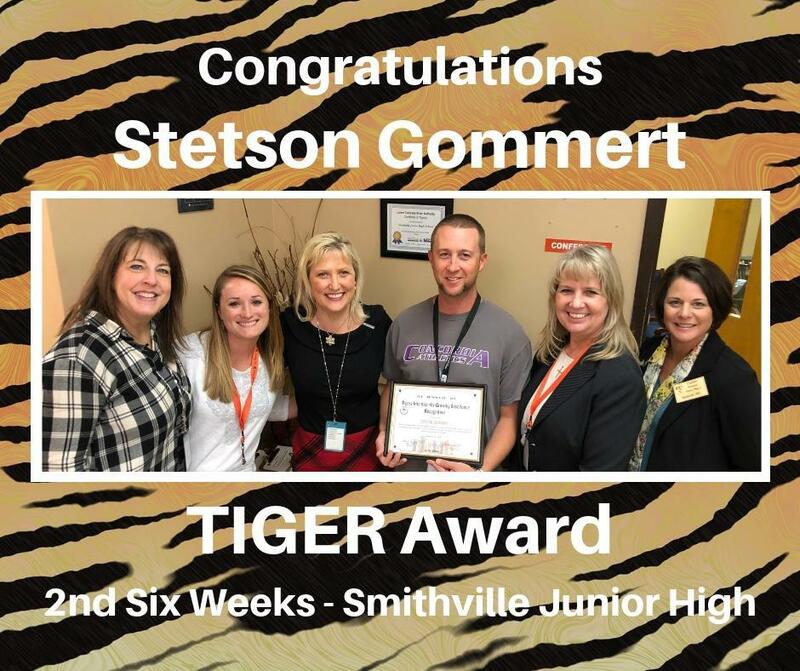 Stetson Gommert is an excellent teacher. He prepares to educate every student in his class and will go to extra lengths to see that each student succeeds. Stetson uses a variety of formats to ensure that his students grasp what is being taught. He is one of the most creative teachers that I have ever seen. 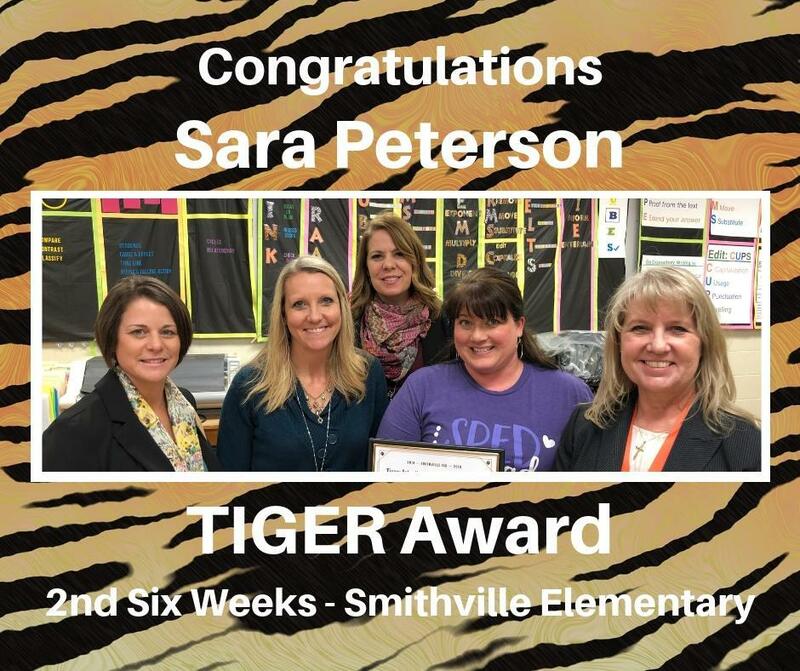 Sara seamlessly works with our team, students, and administrators to serve our students. She is supportive, takes the initiative, and is always ready to assist our team when needed. Recently, she made a series of videos to better support those of us in need of seeing SAMA in action. She is always there and willing to help others. Cindy is vital member of the Brown Primary team. 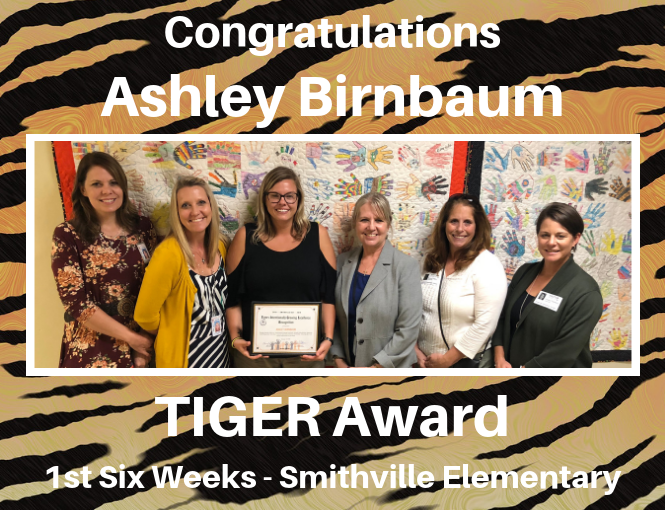 She goes above and beyond to help teachers and staff in any way she can, whether it is copying materials, laminating, or even cutting out materials for staff when she gets a chance. She always jumps in and helps whenever and wherever needed. Cindy brings a lighthearted sense of humor to the office and has made new staff feel at home. She cares for everyone and puts her whole heart into everything that she does. 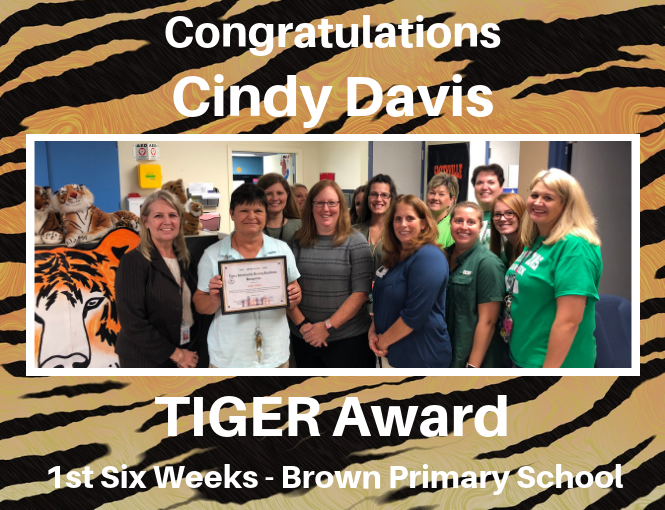 Brown Primary is a better place because of Cindy Davis. Ashley works with several students on the campus who struggle academically and socially. She is constantly on the move going from one student to the other. She is also the resource for teachers when a student is having a difficult time with their behavior in class. She talks, sits, or walks them around to cool off and helps them to make better choices. She has built relationships with students on the campus that others have not been able to. The students trust and love her. Ashley is also very supportive of all the campus staff. She volunteers to help whenever she can. We don't know if we could make it through the day if we didn't have her constant positive support! Vikki is hard working. She helps when asked. Whether it’s in the office with folders or in a classroom helping with various tasks she looks out for her students and is there for them if needed. She is supportive to the teachers and students. She also works with the ACE students before and after school. As a new employee I have had a great opportunity to jump in to an existing functional academics team that is operating at such a high level due to the leadership of Mr. Mahoney. 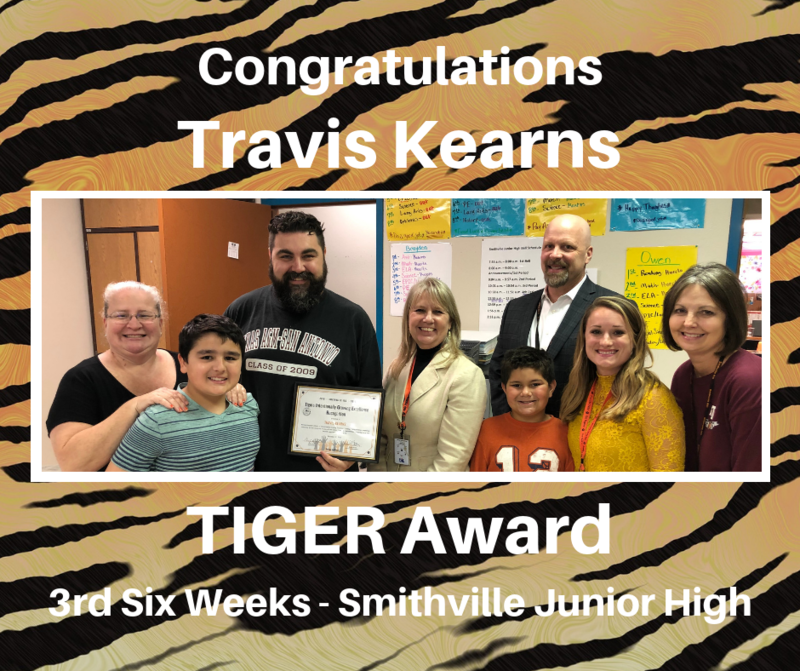 He demonstrates creatively delivering individualized instruction in such an engaging manner in addition to modeling and leading the Functional Academics team to be independent contributors to not only student success but our momentum as a whole team. 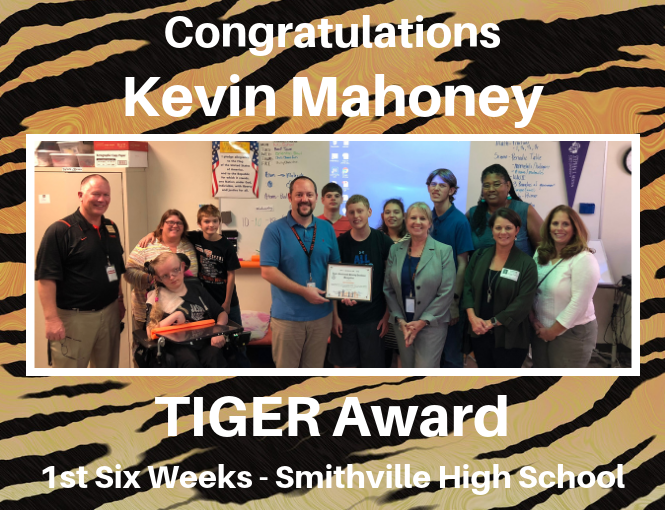 Mr. Mahoney thinks outside the box, responds in refreshing ways with new solutions to challenges, and is hands on and only asks his team to complete tasks that he would do himself. One of his greatest skills is empowering peers to tweak ideas and add their own unique talents to make positive outcomes happen. He goes above and beyond to get work orders done in a timely manner. He also comes up on weekends and fixes anything that is broken for the coaches while there is a tournament or game going on. He definitely goes out of his way to make sure everything is done right and our students are comfortable and safe here at school.